In the grain of thrones and colosseum of carbohydrates, potatoes will always rule supreme on the dinner plates of Hibernian homes. A devotion to the potato is a rite of passage for all us Irish… which is ironic given our turbulent history with the spud! Yes, it’s stereotypical, yes, it can often be a bit of a joke, but there aren’t many food items which our nation adores as much as these delicious tubers. But so often, they’re resigned to support act, understudy, interval entertainment. We want to make them the star, because potatoes are so much more than a bit on the side! 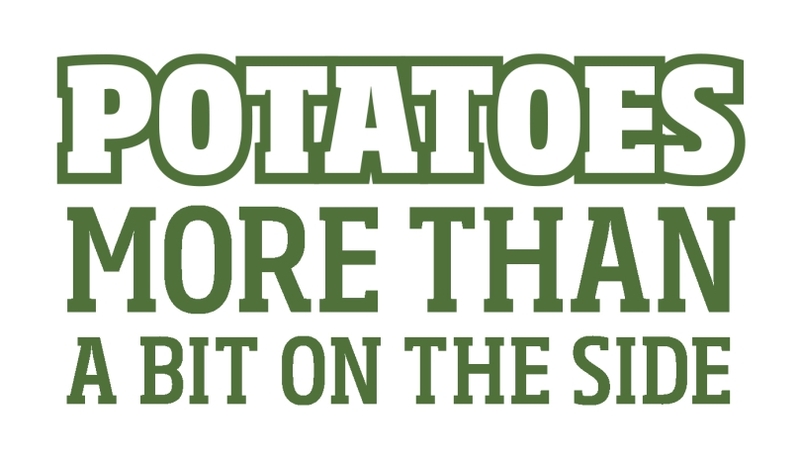 Friday 6th October is #NationalPotatoDay and as noted potato lovers, we’ve been asked to help spread the word. 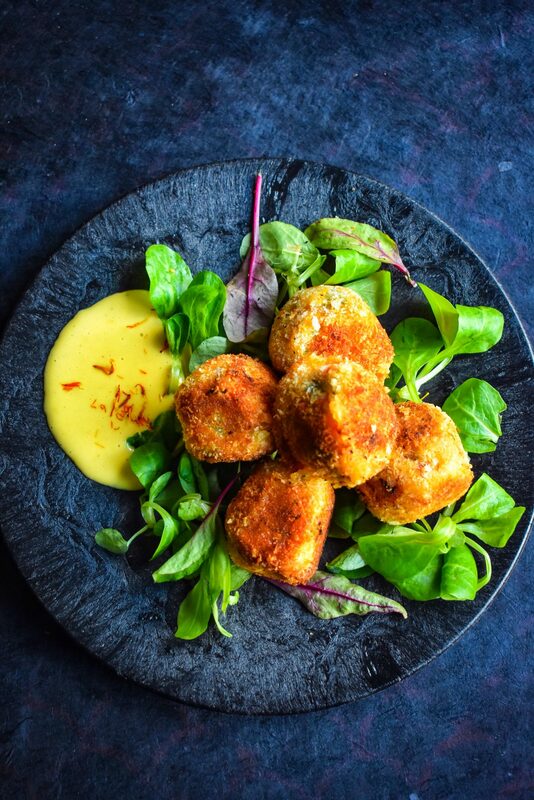 We wanted to make something different, full of flavour, healthy and quick to assemble and – as you know by now – our niche is putting a modern twist on a comforting classic, so we jumped right back to the Seventies and resurrected the croquette! 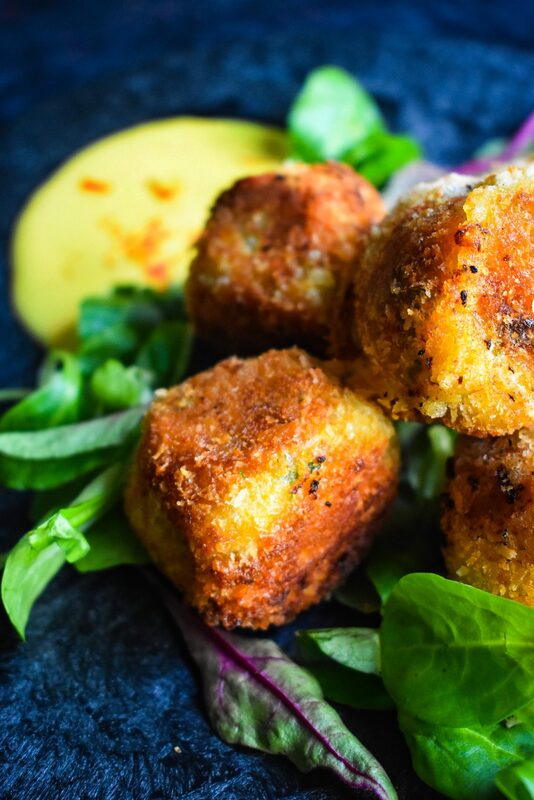 Usually found freezer-burned and about five years out of date, we’re here to show you that fresh croquettes are super simple to make and far superior in taste. Not only are they assembled in around 30 minutes, but they are so adaptable and take on various flavours and fillings beautifully. Plus, the way we cook these is a secret way of getting the most potato-y flavours out of the potato! 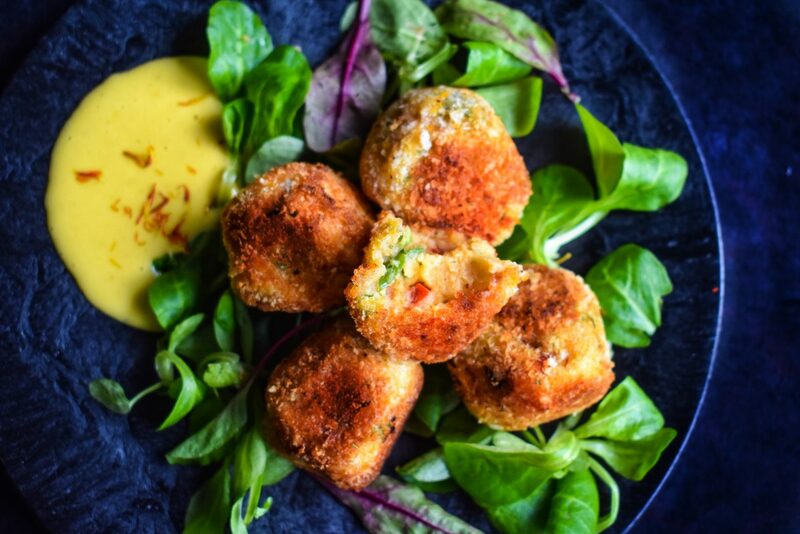 Croquettes come in different styles, textures, and honestly, quality too, so ditch the frozen fancies and start ’em from scratch. 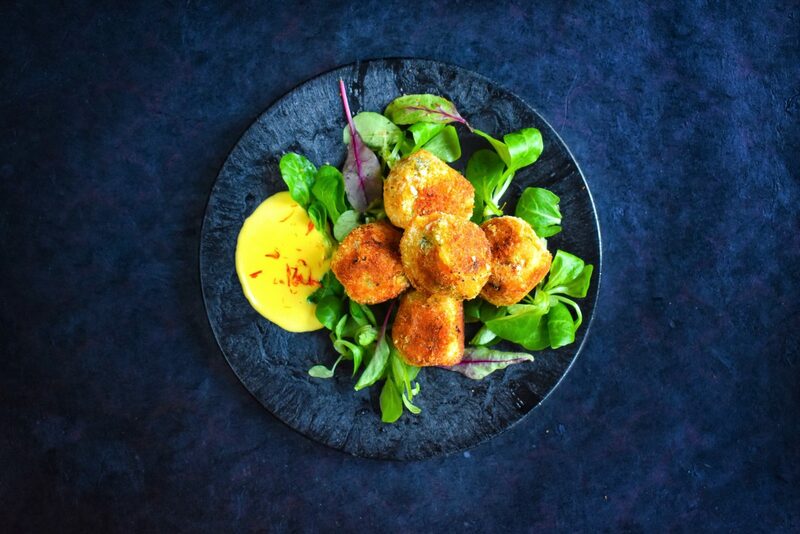 The filling for the version we’re sharing here features chorizo and is a nod, we suppose, to the croquettes of the Iberian peninsula, as we’ve also added some smoky, spicy paprika and herbs too. Not entirely traditional, mind, as croquetas are more commonly filled with a Béchamel filling instead. But, remember: flexibility is key here, use what you have to hand to create a flavour sensation, whether that’s ham & spring onion, chicken curry or slow-cooked beef and blue cheese. 1. To begin, carefully pierce the potatoes with a sharp knife the whole way round. Wrap the potatoes snugly in parchment paper, and place into a microwave for 10 minutes on high. 2. Check they’re fully cooked, again by piercing with a knife and leave to cool for about 3-5 minutes. 3. Meanwhile, while the potatoes cook away, prepare your ingredients. Slice the chorizo in half, then slice each half into thirds and dice up into extra small chunks – you don’t want them too big! 4. Using a spoon, scoop out the potato filling and place into a large bowl. Season generously with salt & pepper and add in a splash of milk and butter and mash together along with the paprika and mustard. Add in the diced chorizo, spring onions, herbs and using a wooden spoon, give it a mighty stir. If it feels too heavy, add a few more splashes of milk. But remember, the outcome you want is pliable, relatively solid mash. 5. Elsewhere, it’s time to get your breading and coating station ready. Place a good helping of flour into one bowl, crack and egg and whisk together in another, and place the panko in another. If we have any to hand, we add some fresh dried breadcrumbs to the mix, or alternatively some golden breadcrumbs from a can, just for extra colour and coverage, though it’s not essential. 6. There are two styles of croquettes which you can make here- cylinders or balls. One is very traditional and slightly easier to cook (cylinders), while the other is more continental but a touch tempermental to fry off. The choice is yours. Whatever you choose, roll about a tablespoon and a half of the mixture into the shape you desire- you can decide what size is best from experience. Dip first into the flour, shaking off any excess. Then dip into the egg, then pop into the panko breadcrumbs. Liberally shower the croquette in the mix, almost burying it in the breadcrumbs. Roll around and ensure that it’s covered. Repeat for each. 7. On a medium setting, heat a small frying pan with 2 tablespoons of rapeseed oil, or general cooking oil of your choosing. Cook 3-5 of the croquettes at a time, leaving for about 60-90 seconds before proceeding to turn over. You may need to repeat this around 4-5 times to ensure each side is cooked. If cooking cylinder shapes, try to push the ends gently against the wall of the pan to try and get a bit more colour on the sides, or spoon a bit of the hot oil on them as it cooks. 8. When cooked, place on some kitchen paper for a few moments to absorb excess oil. Depending on how many batches you need to make, you may need to add 1/2 tablespoon extra of oil to the pan, as the breadcrumbs will take on a bit of it in the cooking process. 9. Serve warm, with a simple salad, a mayonnaise or our garlic and saffron aioli. For the saffron aioli, you can make this a day or two beforehand. Best to make it an hour before the croquettes at least, if you can. You can make this either in a food processor with a steel blade attachment or in a bowl the traditional way with a balloon whisk, obviously the latter will take slightly longer. Begin by smashing the garlic on a chopping board with a little coarse salt and scraping the knife against the garlic and salt until you create a paste. Then, whisk the egg yolks, saffron and mustard together to break them up and very very slowly, drip by drip, add in the olive oil. Keep whisking vigorously and make sure you don’t add too much oil at one time. Slowly, you will see the mixture coagulating and coming together, stiffening in texture as you work. Add as much olive oil as you need to make it into a thick mayonnaise. This may take up to ten minutes and you want it very thick because you will then thin it ever so slightly with a dash of vinegar and add in the garlic at this point before giving it a final stir through. Taste, season with extra salt, freshly-ground black pepper (if both are needed) and taste again. Cover and keep in the fridge until you need to use it. 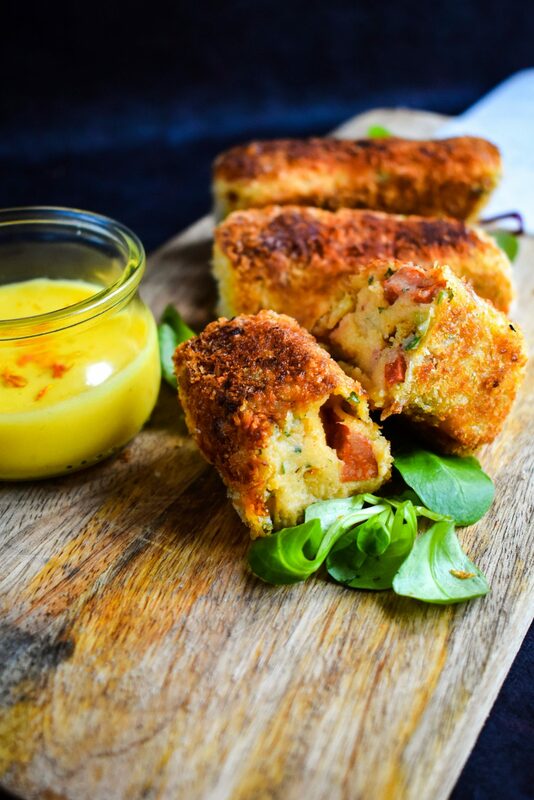 To serve, dot it on top of the croquettes or serve on the side. Potatoes: More Than a Bit on the Side – Our love for potatoes clearly runs deep, because potatoes are such a versatile and adaptable ingredient. Not to mention, they’re a pretty perfect base for any meal, as white potatoes are naturally fat-free (and saturated fat-free), low in natural sugars and a source of both fibre and potassium. Nutritious, easy to prepare and seriously delicious, for more potato recipes and information visit www.potato.ie. DISCLAIMER: THIS POST IS A SPONSORED CAMPAIGN FOR NATIONAL POTATO DAY BROUGHT TO YOU BY GASTROGAYS IN COLLABORATION WITH ADHB AND BORD BIA. Previous Post Opinion: Ireland… Go Eat Yourself!